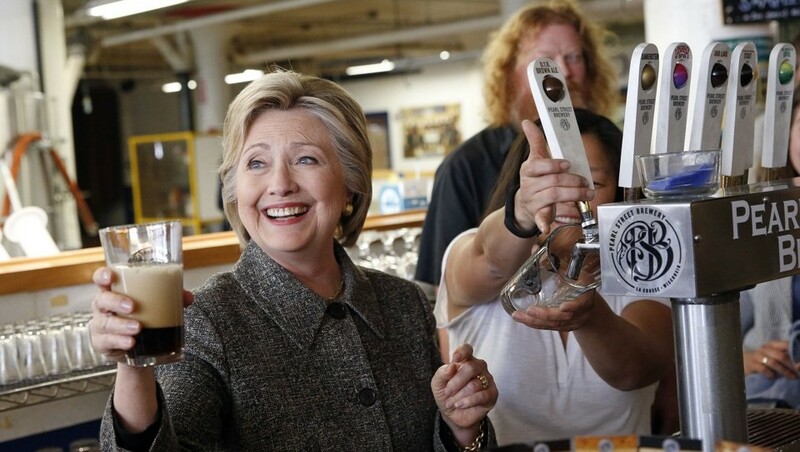 Clinton’s not the only candidate in the 2016 U.S. presidential race who feels compelled to share the spotlight with a craft beer. 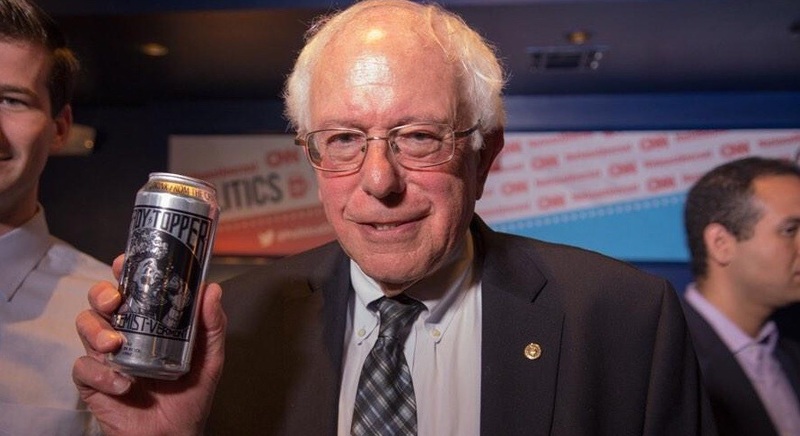 Her Democrat rival Bernie Sanders has been photographed proudly holding a can of Heady Topper, a Vermont-brewed Double IPA that can only be purchased in Sanders’s home state. What's fascinating is the changing reputation of big breweries. There are two notable shifts here. One is that large breweries are now no longer American. AB InBev and MillerCoors are a part of giant international conglomerates, and this fact is well-known among customers. (They used to feature heavily patriotic ads, but have had to back off them for more anodyne spots.) One giant remains American, Pabst, but it illustrates the other problem. As breweries have gotten ever more giant, they've become less local. Except for plants in Milwaukee, St. Louise, and Golden, CO, we have no idea where our mass market lagers come from. Pabst doesn't even have a brewery anymore. "Local" is no longer relevant to the bigs and as you know, all politics is local. The second big change: breweries used to be a perfect proxy for supporting organized labor. When a politician visited that Budweiser plant in St. Louis, he not only got a nice photo op at a classic industrial site, but he got to stand shoulder-to-shoulder with Teamsters. It wasn't quite as popular as a stop in Detroit, but the symbolism was the same. Now there's a bigger upside in going small. Smaller craft breweries are still industrial sites, but they're also local businesses. They are still obviously very blue collar (yay workers! ), but they're also classic, entrepreneurial small businesses (yay capitalism!). You get to associate yourself with one of the trendier products, and, as when a politician pays lip service to a local sports team, you get a tribal bump at no cost. If you play it right, you can talk about how breweries help build local communities. Breweries have even managed, despite peddling the devil's water, to avoid getting embroiled in the culture war. There's no political downside to making a stop off at the local brewery*. Oh, finally, I suppose I should use my tiny pulpit to exhort you to vote against Trump. Beer and politics don't mix, and I will spend no further blog space mentioning it, but come on. I have to go out on this very short, stout limb and say nyet to Trump. I mean, the man doesn't even drink beer (or anything else.) No doubt this was highly persuasive. Bernie wisely avoided trying to pour out the Heady. *Unless you commit an unforced error like Hillary did in this widely-mocked photo of her foamy, low pour. Personally, I found this photo hugely appealing. It looks like your Mom trying to pour a pint and, although she recognizes she sort of botched the job (look at Hillary's expression), she nevertheless takes simple joy in gamely attempting the maneuver. But it's the bitter season, so pouring a foamy pint makes you history's greatest monster. Let the comments commence.